Clean Water voters helped Senators Amy Klobuchar and Tina Smith win re-election while Angie Craig and Dean Phillips defeated two incumbents. Flipping these two seats in the Twin Cities suburbs from polluter allies to people who will be environmental champs is exciting. Clean Water Action also endorsed State Representative Ilhan Omar for Minnesota’s 5th Congressional District who will became the first Somali-American and one of the first Muslim women elected to Congress. Omar will succeed United States Representative Keith Ellison, who was the first Muslim elected to Congress more than a decade ago. After a bitter campaign, Ellison defeated Republican Doug Wardlow and will become Minnesota’s next attorney general. Ellison wasn’t the only Congressman to give up their seat to run for another office, six-term United States Representative and Clean Water Action endorsed candidate Tim Walz defeated Republican Jeff Johnson to become Minnesota’s next Governor. The battle for control of the Minnesota State House of Representatives was waged in more than a dozen swing districts, primarily in the suburbs. Going into the election, the Minnesota GOP held a 77-57 House majority. In order to regain control, Democrats needed to pick up 11 additional seats. As results rolled in Tuesday night, multiple East Metro DFL challengers had defeated multiple long-term Republican incumbents, like six-term Representative Sarah Anderson and five-term Representative Jenifer Loon. House Speaker Kurt Daudt conceded defeat at 11pm. In all, Democrats flipped 16 seats, exceeding the 11-seat flip they needed to take back the chamber. However, one of those, District 5A around Bemidji, was within four votes, triggering an automatic recount. This year was especially exciting as women helped fuel the takeover of the State House. Of the districts that flipped, 11 of them elected women. Take for example, Clean Water Action endorsed candidate, Dr. Alice Mann. Mann defeated two-term incumbent Representative Roz Peterson by a notable margin, more than 5 percentage points. While the Democratic-Farmer-Labor Party held onto the Governor’s seat and won control of the House, Republicans retained control of the Senate by winning a special election. In the Senate special election, GOP Representative Jeff Howe defeated DFL Stearns County Commissioner Joe Perske. Howe’s victory to succeed former Senator Michelle Fischbach, who resigned last summer after being elevated to lieutenant governor, ensures that divided government will continue in Minnesota. But what do the mid-term election results mean for Minnesota’s environment and public health? The answer is a lot. If 2016 taught us anything, it’s that elections have consequences and that is why we were focused on helping elect environmental champions. Of the 19 candidates Clean Water Action endorsed, 16 were elected. Now that the election is over, it’s time to roll up our sleeves and get to work on meaningful solutions that protect Minnesota’s water and public health. 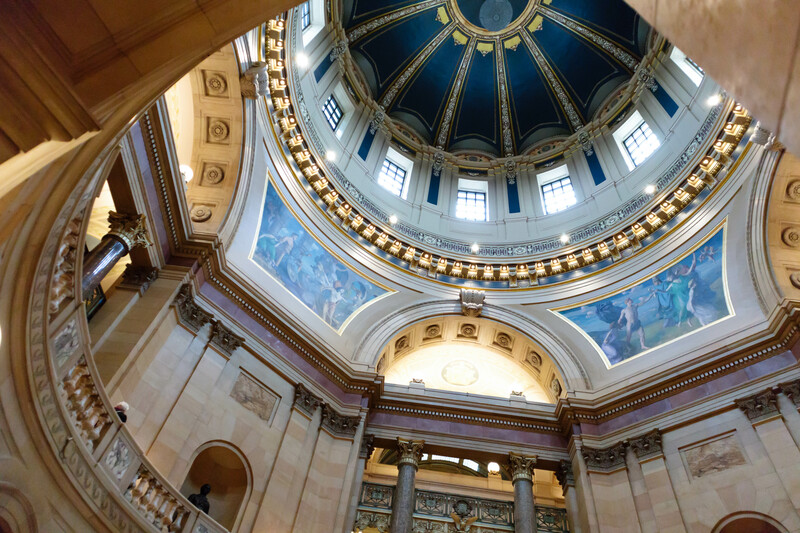 We look forward to working with the new legislature when they convene the upcoming 2019 legislative session.